UPDATE 11/1/15: Congrats to Patrick B., from Logan, Utah for winning this contest! We will also include some other figurines and stuff we got from the con. Just follow us on Facebook and Twitter and post “@TheMassInvasion I want to win #NYCC2015TMI” before October 31st, 2015 at 11:59PM ET. 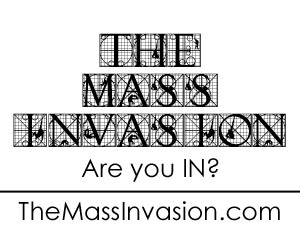 We will select a winner following the end of the contest and will announce the winner via social media and on the following episode of The Mass Invasion podcast. We will also contact the winner through the chosen social media platform on where the ship their prize. There is no purchase necessary, however you must be in the USA to win. If you have any questions, please feel free to let us know. We also unboxed a Marvel Corp. box that we got at the con (unfortunately those items are all spoken for). I want to thank Shanis Navas from Urban Inspirations for shooting the vid as well as Kelvin Hunter, who joined us during the filming. Again, contest is open now until 11:59PM ET, October 31st, 2015. Good luck!